If you’re into well-made, well-priced basics, Everlane is a brand that you’ve probably encountered a whole lot by now. I’m personally a big fan: I’ve followed the company since the days when they only sold t-shirts, and still use the laptop case and carryall bag I saved up for when I was just out of university. On any given day, I typically find myself wearing at least one piece from the brand, so it’s basically a dream to get to partner with them regularly on the blog! For those of us North of the border, Everlane makes it pretty straightforward with customs and duties already added onto your order at time of purchase. Because that can get expensive, they recently reduced their shipping rates to Canada to help us out a little: Standard Shipping is now $12.95 and free for orders $100+, and Express Shipping is $29.95 and $15 for orders $200. 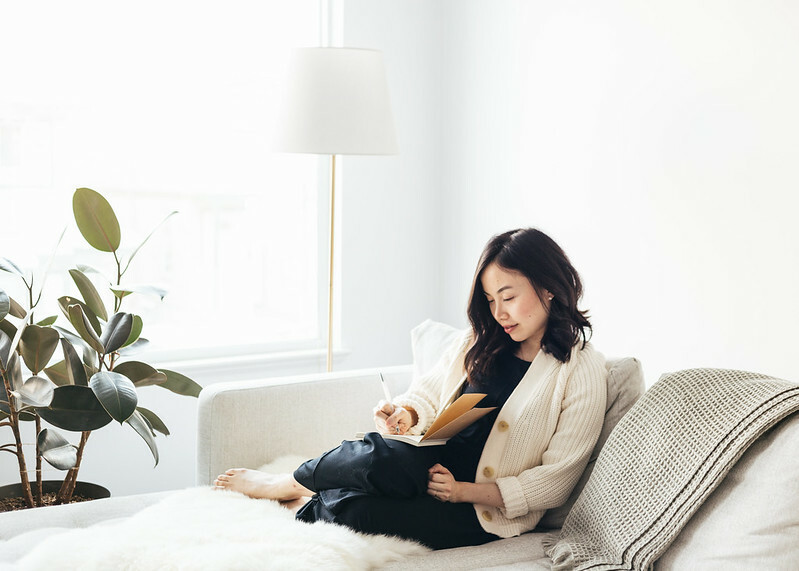 To make things even sweeter, the brand is offering free express shipping on orders over $100 to Canada for the next two days (until April 11), so I thought it’d be a great time for me to highlight five of my favourite, very versatile, and most worn Everlane pieces! 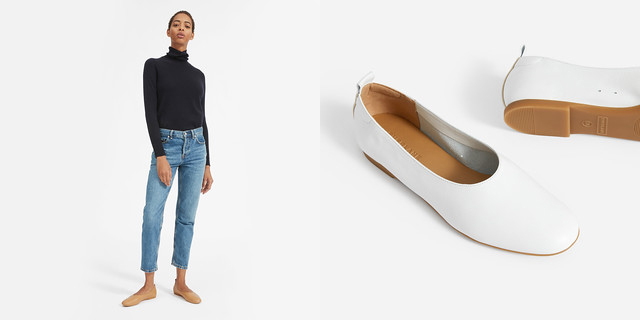 Everlane’s Description: A shoe that fits like a glove—and hustles all damn day. Our Day Glove is made of buttery soft leather that molds to your foot for a perfect, custom fit. With features like a back pull tab, side vents, a rubber sole, and a cushioned insole, these are up for anything. Why I love it: I’m pretty sure these shoes have gained cult status on their own accord by now, but I’m happy to add to the fanfare because they’re hands down the most comfortable flats I’ve ever owned. Coming from a flat-footed girl with a bunion, that means a lot! I wore them and walked in them all the time even while pregnant, and to this day they’re my favourite “throw-on-and-go” shoes for a quick trip to the grocery store or to check the mail. I had them in white first, but also added a tan pair to my wardrobe since the former have been so well-loved. 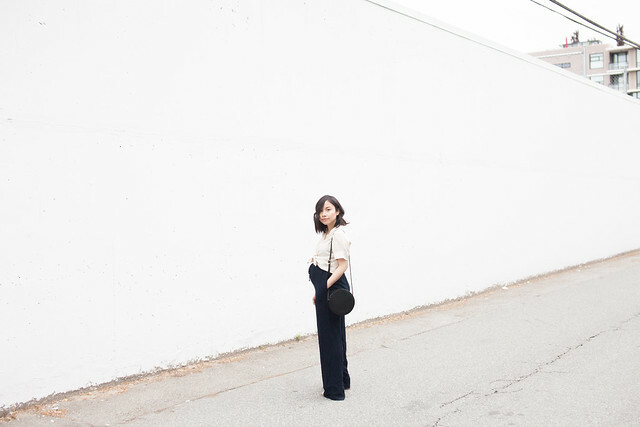 Everlane’s Description: Light and easy. 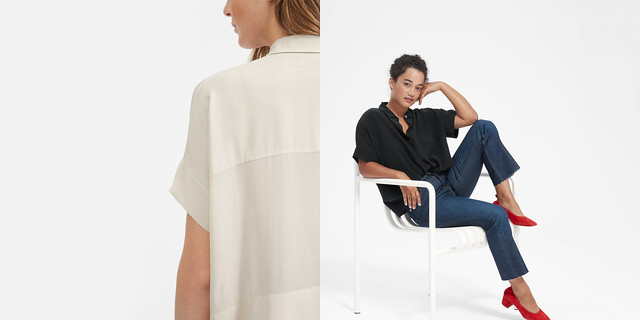 Our Silk Square Shirt has a classic button-down front and boxy, looser fit. Plus—it’s made of our eco-conscious Clean Silk, for more beauty and less waste. Why I love it: I own this top in two colours, washed black and sand, and they’re all I live in during the summer. They look great as is, but I prefer to leave the bottom few buttons undone and knotting it to wear with high waisted bottoms. I even did it over my bump when I was pregnant! Mine are from a previous generation (not the clean silk), but the cut is the same. If you’re on the market for a versatile shirt that can be dressed up or down, this is the one. Okay, so this one isn’t really a single item, but Everlane makes really dang good sweaters, and they make good ones for every season. They’re most popular for their $100 Cashmere Crew, but my current favourites are their cotton pieces because they work so well with Miles’ sensitive skin. 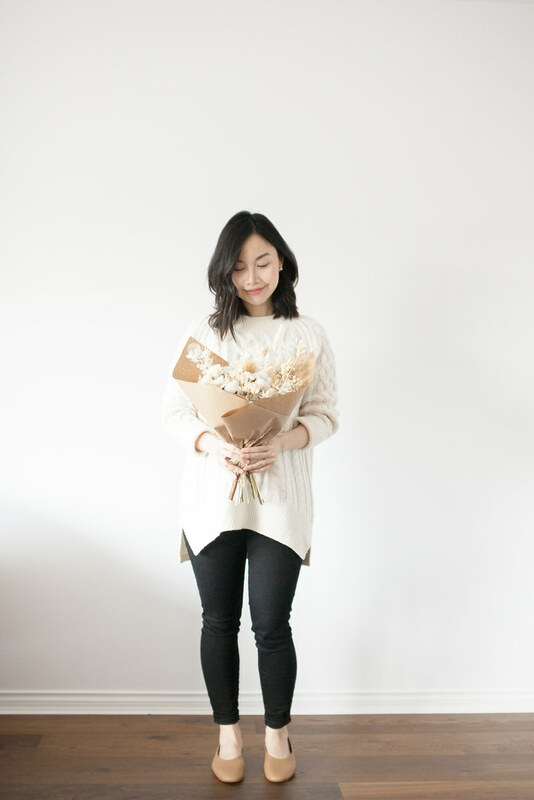 The Texture Cotton Cardigan is a great babaa-esque basic and the simple Soft Cotton Crew is flattering and perfect for tucking into high-waisted anything. While I can be an XS or S in tops depending no brand, I’ve consistently found that I prefer a size S in their sweaters. 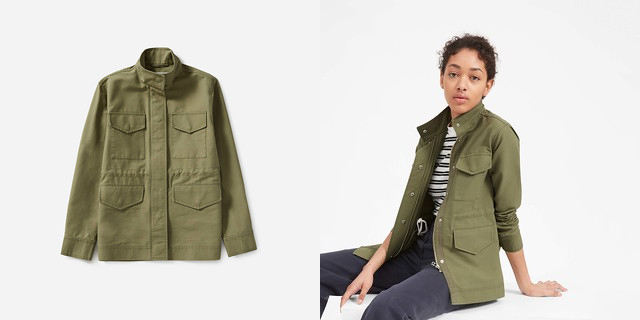 Everlane’s Description: A polished take on a military-inspired original. This twill jacket has a structured-yet-relaxed shape, plus design details that are flattering and functional—a high collar, a drawstring waist cinch, and four large patch pockets (so you can leave your bag at home). Why I love it: I’m not proud to say that I’ve owned 3 different utility jackets in about five years, but I’m happy to report that this is the one that I’ll be sticking with for quite some time. 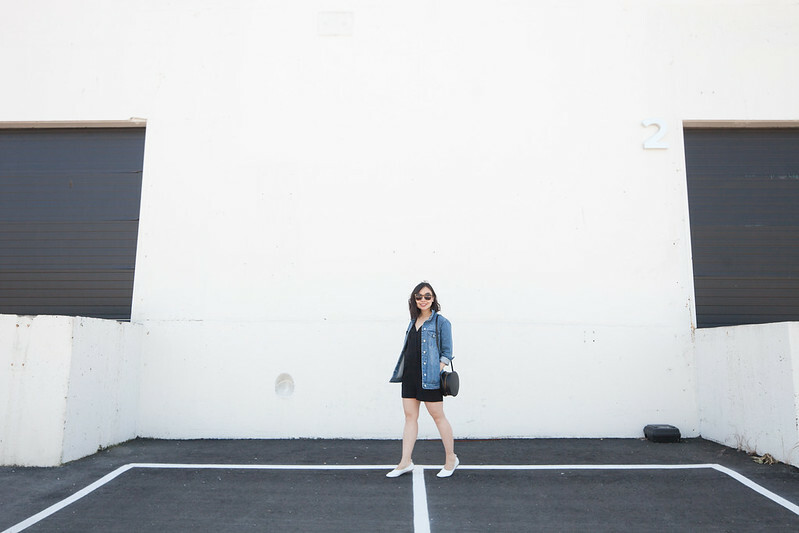 I like how clean and tailored it is, and it happens to be super versatile: it adds polish to a super casual jeans and tee look, but also manages to lend a casual vibe to an LBD. It’s also got a few figure-flattering details like a waist drawstring and sleeves that aren’t too long and fold up very neatly. Everlane’s Description: Stretch denim—that actually looks like denim. This high-rise skinny has a form-flattering fit, with a figure-hugging 11″ rise and a classic skinny leg. It’s made of an innovative fabric with a high elasticity rate so it has comfortable stretch, with a gutsy, authentic look. Why I love it: I decided to purchase these when I was a month or two postpartum because Everlane was having a $50 sale on them and I wasn’t quite fitting into my old jeans at the time. I got them in a size up but they still fit me great now, and they’re the best money I’ve ever spent on jeans. 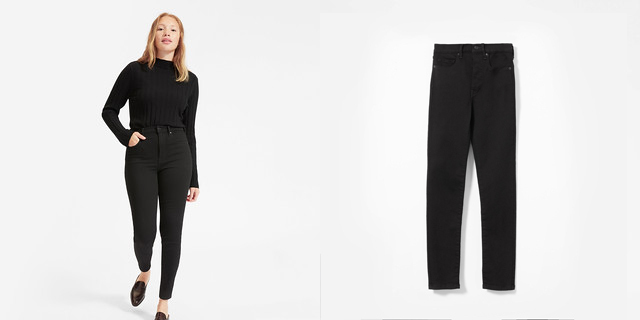 I find that a lot of stretch denim can have more of a “jeggings” kind of look, but these ones actually have a thicker, more textured fabric that makes them look more like jeans. They retain their shape and the high rise on them is perfectly flattering and comfortable. I have the ankle length ones, which are just slightly long for my 5’3 frame (I just fold them up a little bit). Are you an Everlane fan? I’d love to know what your favourite pieces from the brand are! 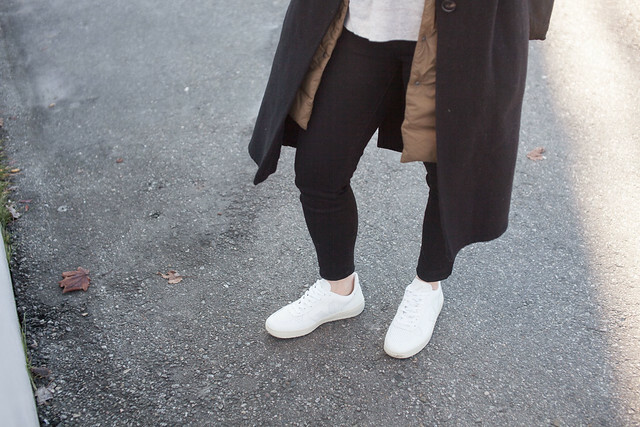 I’m a huge fan of Everlane. I love that they offer ethical and sustainable options at an accessible price point. I have purchased (for myself) about 30 items since 2014 (also a fan from the early t-shirt days). My top five are probably (1) Day flats, (2) U-neck tees, (3) Poplin long-sleeve shirt; (4) Modern Boyfriend Jean; and (5) Alpaca Sweater. I love much of it, though find fit/sizing to be tricky at times (I’m anywhere from a 26-28 in their pants for the same type of fit; presently rethinking my Stretch Cigarettes in 27). I am eager to try the Day Glove and Chunky Cotton Sweater, and excited about the Summer Jean coming later this month.